This removable oven turns a standard Ottawa 5kw into something truly unique and incredibly practical. 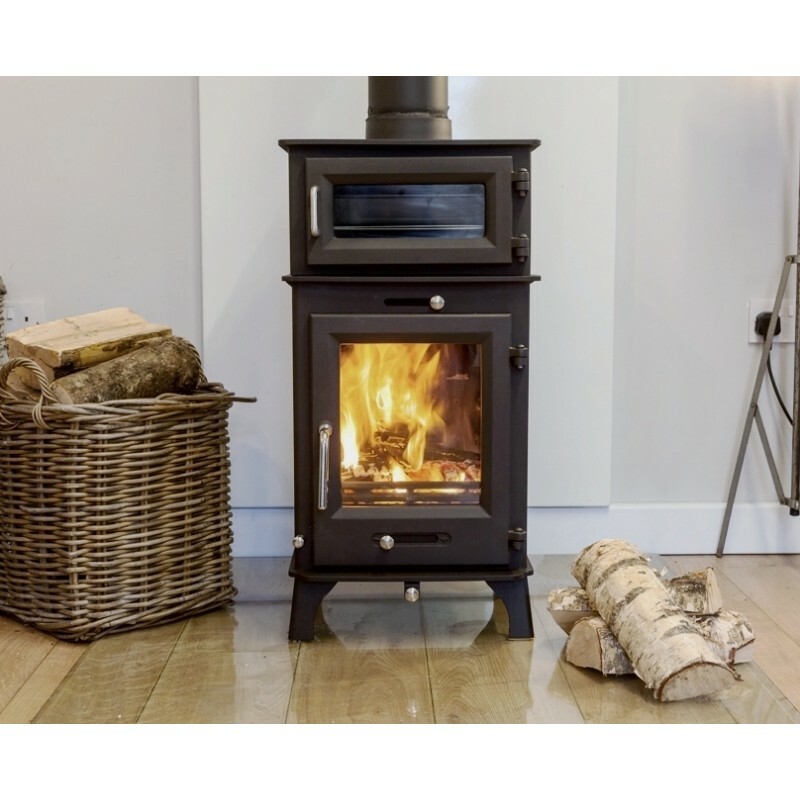 The bolt on oven simply fixes to the top flue outlet of an Ottawa 5kw and heat is transferred from the stove top and the smoke produced by the stove to the oven. 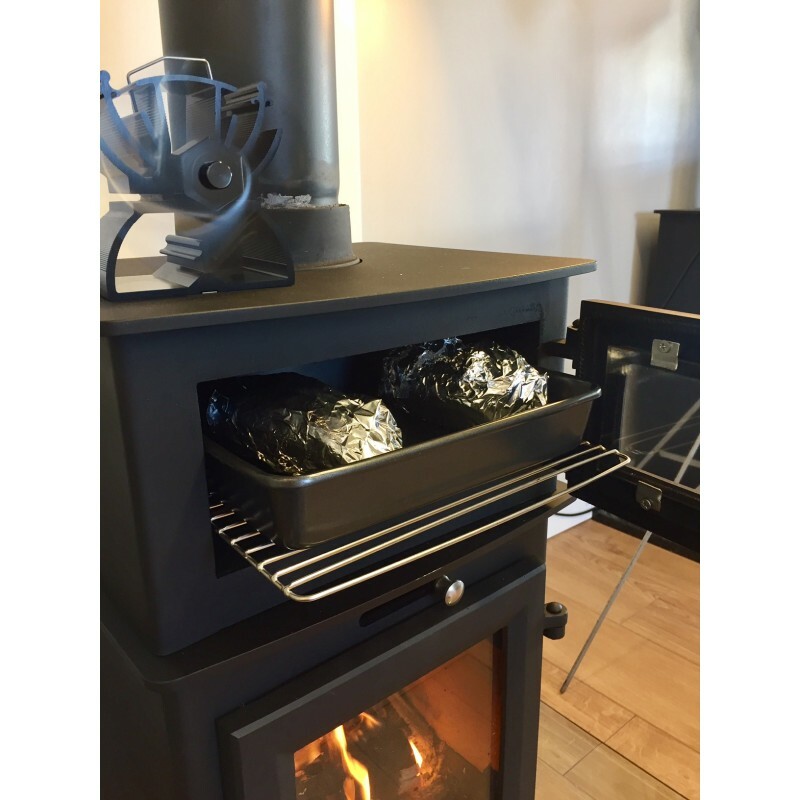 The oven has a twin layered steel construction with a void between the inner and outer skin. This allows the smoke to travel around the oven chamber transferring its heat, and exit through the top outlet. We have had the oven running in the Stoveworld UK office and it reaches temperatures in excess of 200c and is a truly satisfying way of cooking. As seen in lmage 3, all of the ovens come with a good quality 230mm x 280mm baking tray and wire rack. 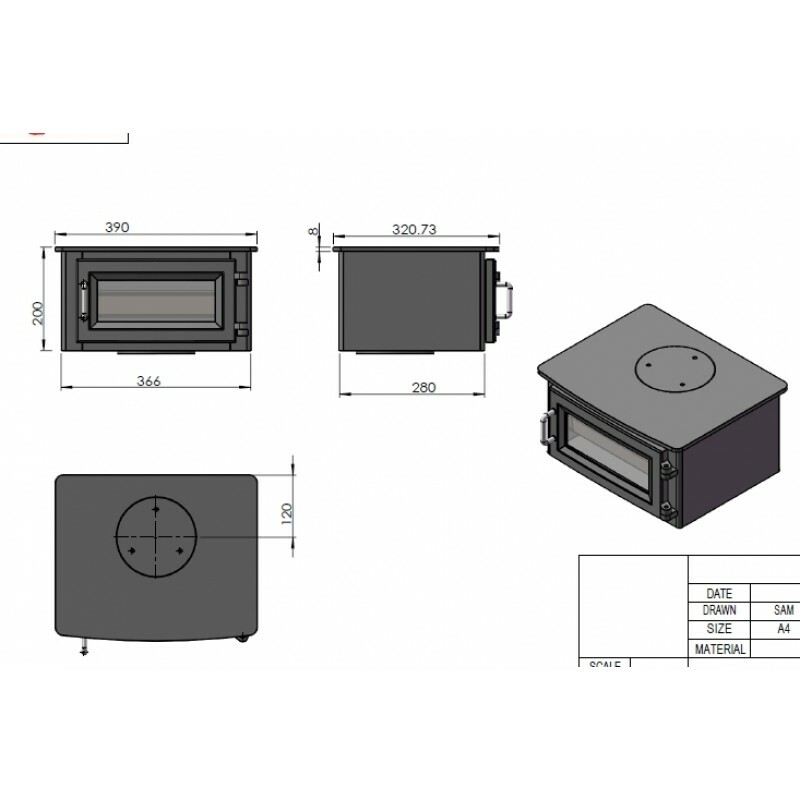 The oven chamber itself measures 250mm deep, 280mm wide and 125mm high and has one welded bracket half way up for the tray or wire rack to sit on. (This covers the oven body and does not include the glass or internal parts.) 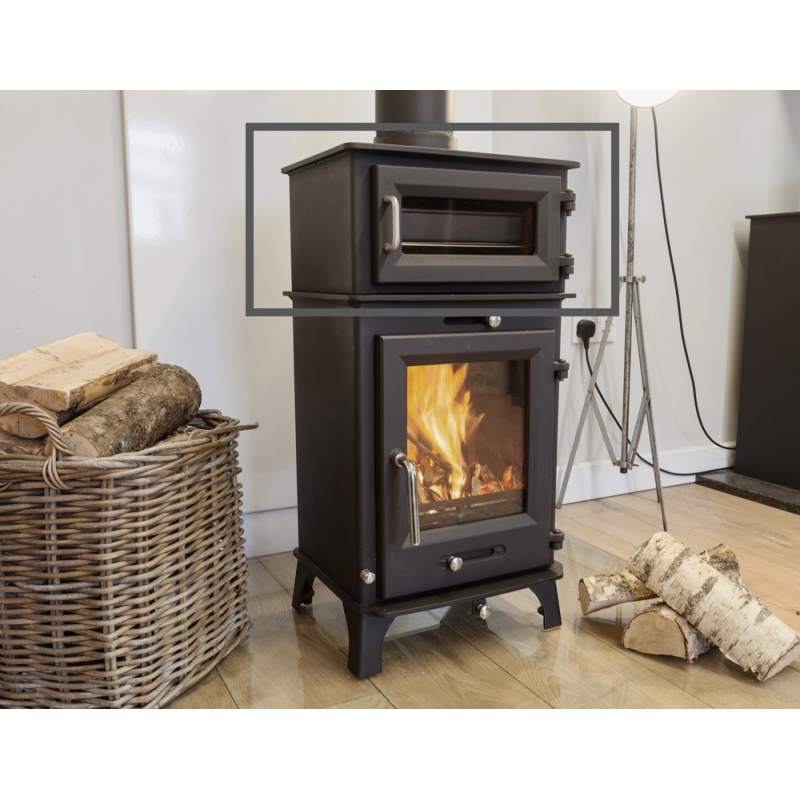 Guarantee is activated when the stove is invoiced. 6 digit number on the top of each invoice is the warranty number. 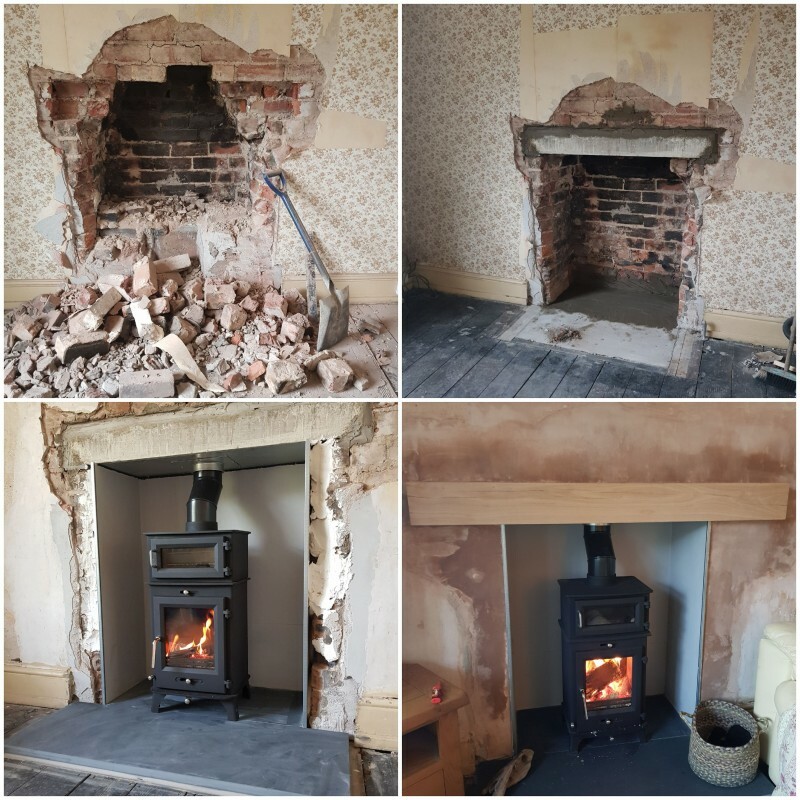 For stove to be covered it must be installed by a HETAS engineer or signed off by the council. Please note that this is the price for delivery of Bolt On Oven Attachment For Ottawa 5kw Models - (Stove Sold Separately) only. The final amount might change depending on the contents of your shopping bag when you check out.